While editing a script, you can select components, such as buttons, text boxes, and input fields, to save as a template. Later, you can reuse them in other scripts. The script editor supports two types of templates. Script templates are entire scripts that are packaged for reuse. Component templates are parts of a page that you can reuse in other scripts. Select a component or a container of components. 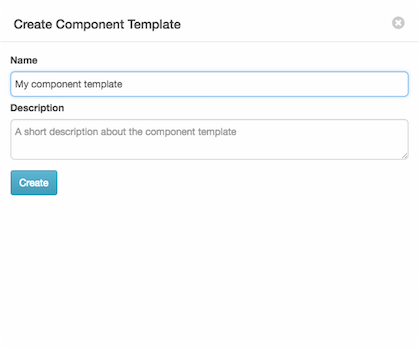 Click the Create Component Template button in the component properties panel. When prompted, type a name and optional description. Click Create. The new template appears in the Component Template list in the script editor toolbar.